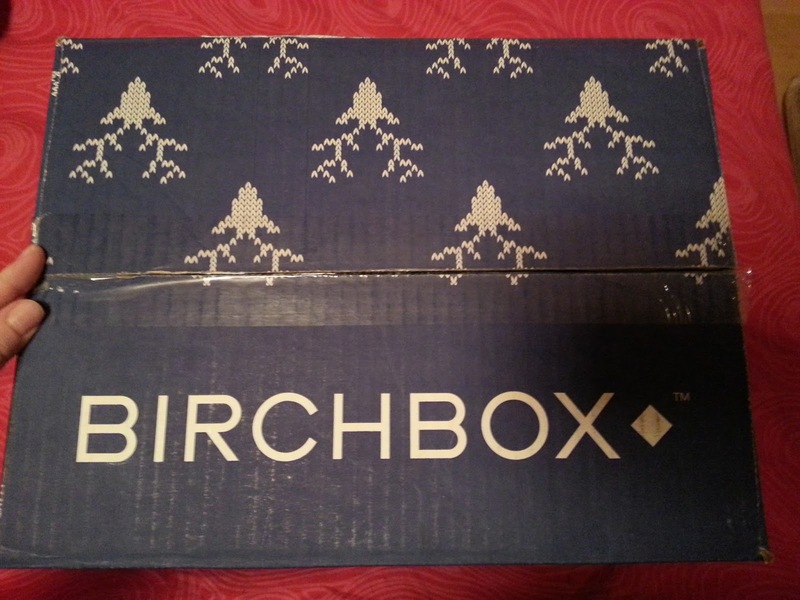 I finally had collected a fair amount of Birchbox points. I had been saving them to cash in on another BeautyBlender, and I actually won 500 points from one of their contests. Well it seemed like the BeautyBlender was sold out for the longest time, and I ended up ordering one during Sephora's 20% off sale. And of course, I think like a week later it was back in stock at Birchbox. Just my luck. I decided to search what else their shop had an make a decision from there. Look at the pretty Christmas-y box! Little Reindeer I think. The box was pretty oversized for what I ordered. Shall we open it up and look at what I got?! I received a sample size of the protect & detangle in a previous Birchbox and didn't actually use it until after I redeemed my points for my set. I kept seeing how awesome this trio was (especially over at www.bestbeautyformybuck.blogspot.com) and decided to order a set. I'm so glad I did because not only does it smell amazing (it kind of reminds me of Britney Spears Fantasy perfume - one of my favs!) BUT it is amazing. It takes only a few squirts of the protect & detangle, and my hair straightened so easily, and stayed straight for a few days, even after sleeping on it. I hope the Shampoo and Conditioner work just as well! I'm starting to run low on my Younique Clean Cleanser and I thought I would try something new (and more affordable.) I was looking for something more creamy, but since this has aloe in it, I figured it would be good for my dry, sensitive, and reddish looking skin. I haven't really researched it to be honest, so I'm going into it blindly. Once I finish off my Younique cleanser, I will start using this one.. I will have a review up once I finally get to it and can give it an honest try!